If you are looking for avenues to understand key concepts and ideas in education and their implications for practice, write to foe@digantar.org . The programme provides an opportunity for in-depth dialogical explorations into fundamentals of education. 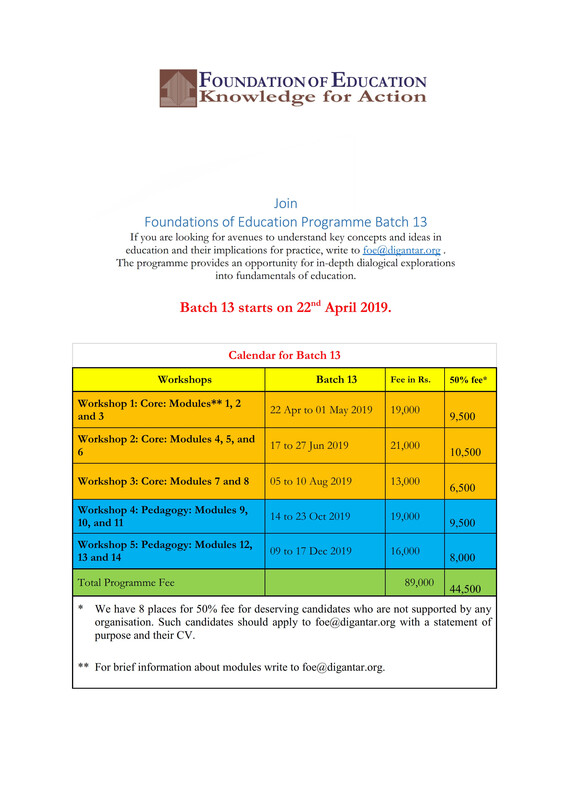 Batch 13 starts on 22nd April 2019. For more details head towards the program page. Copyright © 2015 Digantar Shiksha Evam Khelkud Samiti. All rights reserved.